Need more than standard web hosting? Are you looking for a faster, more flexible solution than standard web hosting that can handle multiple web hosting accounts, multiple domains names with HUGE storage areas and ultra fast speeds? Then you need more resources than standard web hosting can offer. Cheap Domains Australian Dedicated Virtual Servers give you all the POWER and CONTROL of a stand alone server without the expensive hardware and running costs. 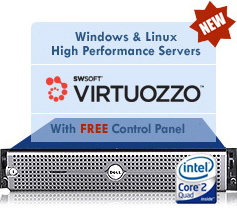 Get the performance you need and take control of server space today. Large traffic websites, multiple hosting accounts, mail servers, gaming servers, application servers, VOIP servers or personal servers. Cheap Domains Linux Dedicated Virtual Servers are powered by the Virtuozzo for Linux platform which gives customers their own virtual Linux operating system to install their own software and manage their hosting environment themselves, at a fraction of the cost of a normal networked server. All the Linux Dedicated Virtual Servers plans come complete with cPanel 11 and WHM control panel allowing you to manage all your domain names, email accounts, disk space and much more, through a user friendly web-based control panel. Cheap Domains Windows Dedicated Virtual Servers are powered by the Hyper-V for Windows platform which gives customers their own virtual Windows Server 2012 R2 or Windows Server 2016 operating system to install their own software and manage their hosting environment themselves, at a fraction of the cost of a normal networked server. All the Windows Dedicated Virtual Servers plans come complete with Plesk 9 for control panel allowing you to manage all your domain names, email accounts, disk space and much more, through a user friendly web-based control panel. All Dedicated Virtual Servers are powered by DELL Enterprise Level servers for high-performance with the latest generation Multi Core Xeon processors to meet Cheap Domains standards for reliability and performance. Read more. The cPanel control panel is an excellent server management tool that lets you configure your server through a convenient web-based interface or take full control yourself with full root access SSH allowing you to install and run virtually anything on the server. The Plesk control panel is an excellent server management tool that lets you configure your server through a convenient web-based interface or connect directly to your Windows Server 2012 R2 or Windows Server 2016 64-bit Enterprise Edition server using Remote Desktop or Terminal Services with Administrator Access allowing you to install and run virtually anything on the server. We guarantee resources for each individual Dedicated Virtual Server. Our innovative design, powered by Virtuozzo software, ensures that resources on the physical server are not over-allocated. No matter how much activity other Dedicated Virtual Servers generate, your Dedicated Virtual Server always gets the Guaranteed RAM resources allocated with available burstablity. Our Dedicated Virtual Server hosting solutions are completely isolated virtual environments. Each Dedicated Virtual Server behaves exactly like a normal networked server with its own file systems, users, processes and scripts. You can run different applications on each Dedicated Virtual Server and the root user retains full control. This makes our Dedicated Virtual Server technology a cost effective solution that saves you hardware related capital investments. Using the world leading cPanel 11 software for Linux, you will be able to host and manage unlimited web sites on your dedicated server via the user friendly web-based control panel. It allows you to control all aspects of your server, including: DNS, virtual hosts, cron jobs / scheduled tasks, web services, scripting software, statistics, monitor server performance, manage SSL certificates, setup / install / configure databases and activate scripting languages including PHP for example. » And much much more..
To view more performance and specifications click here. 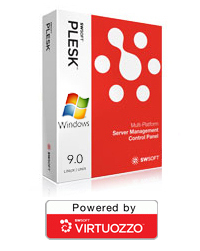 The Plesk 9 control panel is a server management tool that lets you configure your server through a user friendly web-based control panel. It allows you to control all aspects of your server, including: DNS, virtual hosts, cron jobs / scheduled tasks, web services, scripting software, statistics, monitor server performance, manage SSL certificates, setup / install / configure databases and activate scripting languages including Ruby on Rails for example. Whether you are an experienced server administrator or just starting out, our friendly support staff can answer your questions and assist with technical problems you are experiencing. The standard support must lie within our systems or technology we support. No charges will apply for this service. Phone support is available during business hours and 24/7 email support is also available. Advanced support and troubleshooting which requires the assistance of a system administrator is outside our standard support and will be charged a flat hourly fee. Any custom configuration or advanced server setup will be required to have a Managed Service Pack upgrade. The Managed Service Pack is recommended for users or businesses who don't have the knowledge, experience or time to configure, setup and manage their own servers. Our professional qualified system administrators will take full admin control and will setup your Dedicated Virtual Server for maximum performance. We will then monitor and maintain your server, allowing you a hassle free server experience. Server and operating system will be configured to your business requirements for maximum performance. Domain Names, DNS and Hosting accounts will also be setup and resources will be allocated across your server as needed. The emergency support gives you direct 24/7 phone support for emergencies direct to a Lvl 1 system administrator. The emergency support issues covered with 24/7 phone support include service restarts or rebooting and server or services down. Non critical issues will not be dealt using the emergency support. We will support and patch all base operating systems below when official updates for bug fixes and security patches are available. Patching is applied weekly unless the severity of exposure is high. Official updates released by CentOs 5®. Official updates released by Debian 5®. Official updates released by Microsoft®. 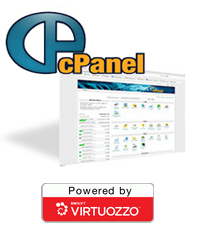 Official updates released by cPanel®. Official updates released by Plesk®. Your server will added to the advanced monitoring pool we have developed which will be monitored constantly 24/7 and will alert us of any issues. You are entitled to use our custom configuration and setup service which is only available to Managed Service Pack users. This service will allow you to request custom configuration setups tailored to your requirements outside our standard and managed services. Custom config/setup services below are charged at a flat rate of $85/hour. Please contact us to discuss your requirements or the available options. Root/Shell access will not be available under a Managed Service Pack.